Home Article Beauty Eyes Women Be Careful, Waterproof Mascara Can Cause Eyelashes Fall! Be Careful, Waterproof Mascara Can Cause Eyelashes Fall! In addition to eyeliner and eyebrow pencil, mascara is also one of the mainstay beauty items for women. The reason is, mascara can have a dramatic effect on the appearance of overall eye and face makeup. With mascara, eyelashes will look thicker and more supple. At present, many beauty manufacturers have issued mascara products with various advantages, including mascara with waterproof or waterproof capabilities. Waterproof type mascara is often the main choice for women because it does not fade easily and has a longer durability than ordinary mascara. Although it has a number of advantages, but waterproof mascara is better not to be used every day you know, you. This is because waterproof mascara can cause a number of negative effects on your eyelashes. Don't believe it? Come on, see the following explanation. Waterproof mascara contains wax and silicon which makes it last a long time and can withstand sweat, tears and water. Usually, if you look at waterproof mascara packaging, you will find additional ingredients such as isododecane and cyclopentasiloxane. These ingredients are used to make the mascara formula waterproof, but can give dry eyelashes, and cause hair loss, said Dendy Engelman, a doctor. skin, as reported from the Self page. This condition is the same as when you wear long-lasting lipstick that will make your lips crack and dehydrate. Currently there are many waterproof mascara products on the market, so it is not difficult for you to find options. If you don't want to experience problems with your eyelashes, try to pay attention to the content of the formula from the waterproof mascara that you will buy or use. Although almost all waterproof mascara contains ingredients that can make dry eyelashes, choose a product with the least content so it is easier to clean. The eyelash primer serves as the base of the lashes between the eyelashes with a waterproof mascara. Choose a lash primer that contains vitamin E and micro fibers that can protect your eyelashes. Cleaning waterproof mascara is easy to say. No wonder some people become a bit lazy to clean it and choose to go to bed and leave it until tomorrow. 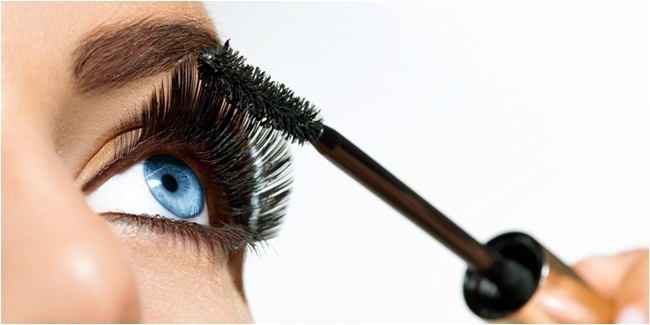 In fact, mascara that is left overnight can make eyelashes become stiff and make them damaged and fall out. As the name suggests, waterproof mascara is not easy to clean using water. For that, try using an oil-based make up cleaner. Pour the eye make up remover on the cotton, place it on the eyelids and leave it for a few minutes. After that, press the cotton slowly until the waterproof mascara is lifted. Avoid rubbing eyelashes because it can cause eyelashes to fall out. As with hair, so as not to fall out, eyelashes also need to be treated regularly. Get used to using eyelash serum after you clean waterproof mascara. This eyelash serum can strengthen and repair eyelashes. Looking beautiful with eyelashes that look thick and curly is certainly very desirable for women, huh. However, make sure you pay attention to some of the above so that your eyelashes are maintained even though they often use waterproof mascara.